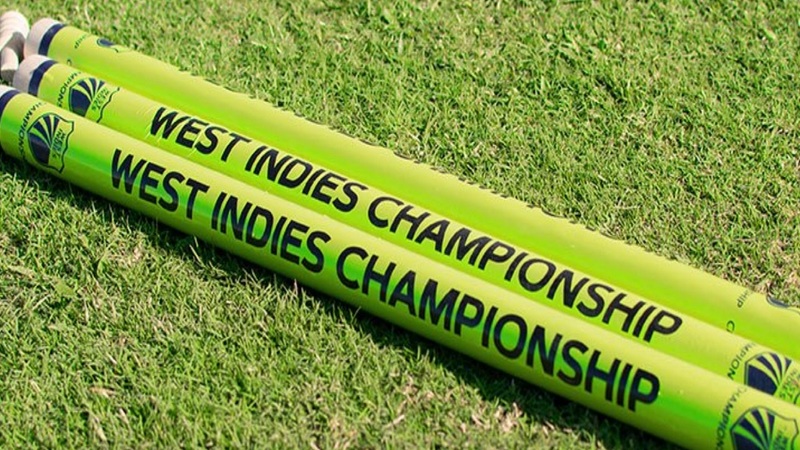 Jamaica Scorpions will enter the 10th and final round of the 2018-2019 West Indies Championship at the bottom of the table following their fourth defeat at the weekend, while Guyana Jaguars got their bid for a fifth straight title back on track. Leeward Islands Hurricanes, the Jaguars’ nearest rivals, defied an 11-wicket match haul from veteran left-arm spinner Nikita Miller to clinch a 134-run victory against Jamaica Scorpions inside three days at Sabina Park on Saturday. Miller had an immediate impact on his return to the Scorpions’ line-up for the first time in five matches. He grabbed 7-50 from 25 overs – trumping Devon Thomas’ top score of 65 – to almost singlehandedly lead the demolition of the Hurricanes first innings batting after they were put in to bat. Hurricane were bowled out for 210. 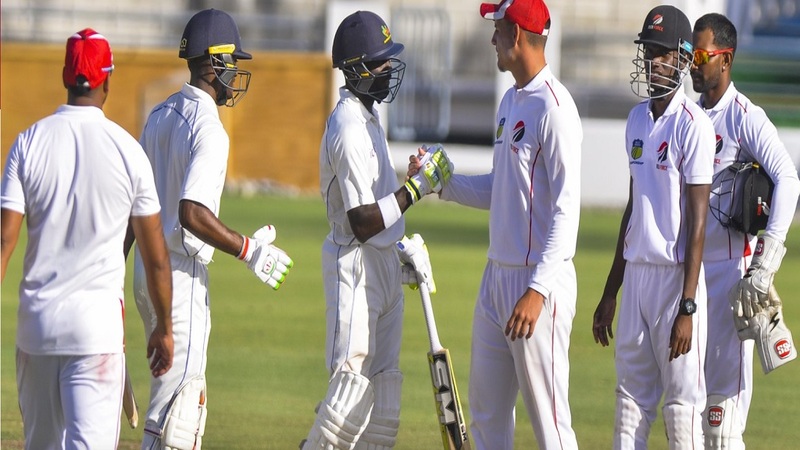 In-form batsman Brandon King cracked 95 and Test batsman Jermaine Blackwood supported with 45 to defy off-spinner Rahkeem Cornwall’s destructive 6-57 from 23.2 overs to produce another half-century stand that helped earn the Scorpions a 40-run, first innings lead as they replied with 250. Keacy Carty, the Player-of-the-Match in the ICC Youth World Cup final when the WINDIES Under-19s won, led four batsmen that logged half-centuries in a strong Hurricanes second innings where they made 312. Carty hit the top score 68, Thomas made 65 for the second time in the match, Test opener Kieran Powell, the Hurricanes captain, got 54 and Rahkeem Cornwall added 52. Miller followed up with 4-95 from 44.1 overs, pacer Gordon Bryan took 3-65 from 14 overs and rookie off-spinner Akim Frazer bagged 3-82 from 28 overs for the Scorpions. But Sheeno Berridge’s 4-40 from 12 overs undermined the Scorpions the second innings batting, as they failed to chase a target of 283 and were bowled out for 138 in their second innings to suffer their fourth loss of the season which pushed them into the basement on the table. 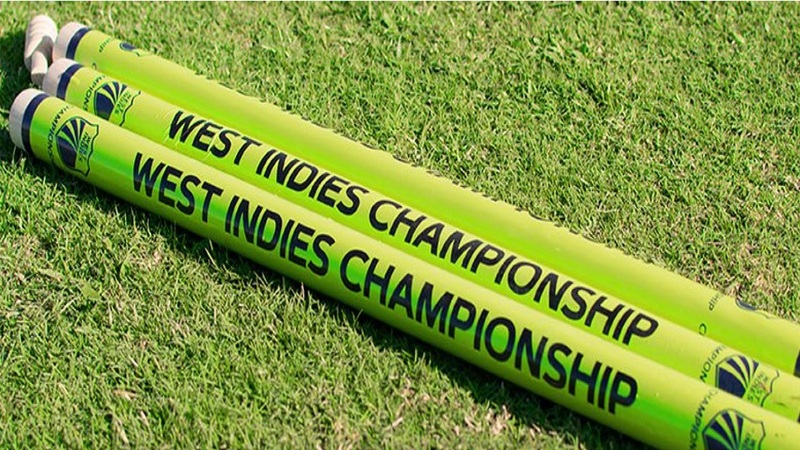 Final scores in the match: Leeward Islands Hurricanes 210 & 312; Jamaica Sorpions 250 & 138. Raymon Reifer was the spark for the Guyana Jaguars. The Barbados-born, WINDIES Test fast-medium bowler earned the Player-of-the-Match award, after he grabbed nine wickets in the match against Barbados Pride to spur the Jags to a seven-wicket victory, also inside three days at the Guyana National Stadium. Reifer showcased his all-round skills in terrorising the Pride to put Guyana Jaguars on top from the opening day of the contest. He snared 5-20 from 10 overs to lead the destruction of the Pride, which were bowled out for 76 in their first innings for their third lowest total in the modern era of West Indies first-class history (1966 onwards) after they chose to bat. In reply, the Jags found themselves in turmoil at 78 for five before Reifer arrived to stroke a responsible, unbeaten 52 to guide them to a 201 for a first innings lead of 125 runs. International Jonathan Carter was the most successful Pride bowled with 4-52 from 22 overs. Left-handed opener Shayne Moseley hit the top score of 64, WINDIES Test selectee Shamarh Brooks made 44 and wicketkeeper/batsman Tevyn Walcott added 33 for the Pride in their second innings total of 238, but their batsmen again failed to ease concerns about their fragility and the Jaguars were left to chase a modest 114 for victory. Reifer was the pick of the Jags bowlers, taking 4-22 from 11.5 overs in the Pride second innings, and veteran left-arm spinner Veerasammy Permaul supported with 4-62 from 24 overs. International left-hander Chandrapaul Hemraj spearheaded the run chase for the Jaguars with 51 and when he was the last of three wickets to fall, Christopher Barnwell, not out on 23, and captain Leon Johnson, not out on 20, put on 36 in an unbroken, fourth-wicket stand to see the host side over the finish line. Youth World Cup winner Shamar Springer took all three wickets. Final scores in the match: Barbados Pride 76 & 238; Guyana Jaguars 201 & 118-3. Khary Pierre hit his maiden first-class hundred to lead a number of career-best performances and veteran leg-spinner Imran Khan ended with 10 wickets in the match to help Trinidad & Tobago Red Force climb out of the cellar position with a 190-run victory over Windward Islands Volcanoes at the Arnos Vale Cricket Ground. Pierre was the batting hero for the Red Force in their first innings total of 307. His century included 10 fours and three sixes from 219 balls in just over four hours of batting. After they chose to bat, Red Force ran into strife at 114 for six, but Pierre and Khan with a solid 71 shared 141 for the seventh wicket to revive their side’s fortunes in the face of career-best bowling from Test fast bowler Shermon Lewis with 7-76 from 21.3 overs. Khan snared 5-54 from 23.5 overs and Pierre was one of two other bowlers that captured two wickets, as the Volcanoes batting collapsed and they were bowled out for 200 to concede a 107-run, first innings lead. Former WINDIES captain Denesh Ramdin led the way with 57 and the Red Force prevailed over Kavem Hodge’s career-best 6-68 from 32 overs to declare their second innings at 244-8 to leave the Volcanoes to chase 352 for victory. Khan led the destruction of the Volcanoes’ second innings batting with 5-65 from 20 overs, including his 400th first-class wicket, and off-spinner Bryan Charles further exposed their vulnerability to slow bowling with a career-best 5-72 from 29.2 overs, as the home team failed to reach 200. Final scores in the match: Trinidad and Tobago Red Force 307 & 244-8 dec; Windward Islands Volcanoes 200 & 161.